Frances Marie Brumback, 83, of Winter Park, Fla., passed away on July 28, 2013, after a long and courageous battle with Parkinson’s disease. Frances was born on Dec. 29, 1929, in Toledo, Ohio, to Frances Tiedtke and John Sanford Brumback. She grew up in Toledo, attending Ottawa Hills public schools and graduated from Abbott Academy, Pine Manor College and Ohio Wesleyan University, where she was a proud member of Delta Delta Delta sorority. After working at Harvard College, she obtained a master’s degree in Education from Tufts University. Frances loved children and for many years was a dedicated elementary teacher at Elm Street School in Perrysburg, Ohio. In the early 1970s, she moved to Orlando to pursue business interests in finance, real estate and citrus. Frances regularly volunteered for the Salvation Army with her sister Ellen, who predeceased her. She was an ardent supporter of the Orlando Museum of Art, donating several pieces to their collection. She was committed to her community and gave her time generously to several charitable and civic organizations, including the Orlando Museum of Art, the Salvation Army and the Sun Valley, Idaho, Summer Symphony. She served as a pink lady and volunteered in many other roles over the years at ORMC. 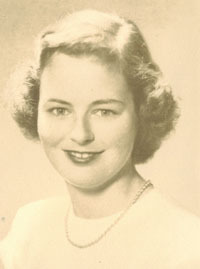 Frances was a member of the Rosalind Club and the Country Club of Orlando. She was a member and supporter of Park Lake Presbyterian Church. Frances and her sister Ellen spent more than 30 summers in Sun Valley, enjoying many outdoor pursuits such as hiking, fly fishing, gardening and bird watching. They introduced many family members and friends to their beloved Idaho. She is survived by her siblings: Charles T. Brumback of Winter Park, John S. Brumback (Susan) of Orlando, and Cynthia A. Brumback (Ming Wang) of Washington, D.C.; by her nephews and nieces: Charles T. Brumback, Jr. (Kim), Anne B. Meyer (Ted), Wesley W. Brumback (Paula), Ellen B. Allen (Lindsey), Cynthia F. Brumback, Helen B. Leonard (Tony), and Christine B. Brumback; and by grandnieces and grandnephews: Sarah A. Meyer, Allison L. Meyer, Andrew N. Allen, Emily L. Brumback, Mitchell B. Allen, Sarah E. Brumback, Charles T. Brumback III, Anthony C. Leonard III and John B. Leonard. Visitation for family and friends will be held on Monday, Aug. 5, from 5-7 p.m. at Baldwin-Fairchild Funeral Home, Lake Ivanhoe Chapel, 301 NE Ivanhoe Blvd., Orlando. A memorial service will be held on Tuesday, Aug. 6, at 11 a.m. at Park Lake Presbyterian Church, 309 E. Colonial Drive, Orlando. In lieu of flowers the family requests that donations be made to The Paragon School, 928 Malone Drive, Orlando, Fla. 32810 and the Sun Valley Summer Symphony, P.O. Box 1914, Sun Valley, Idaho 83353.